Summ er temperatures have arrived Fresno, CA and the Central Valley. Many people will be turning on their AC for the first time in the next few days as temperatures are expected to reach the mid 90’s for the first time this season. Here are a couple of tips to help keep you cool and to get your HVAC system ready for the summer months. It is a good idea to replace your air filters at the start of the cooling season. This will help your cooling system to operate at peak condition. (Filters should be changed every 3 months). Servicing your home’s heating and cooling system is as important as changing the oil in your car. Schedule a seasonal service appointment to have your unit checked and cleaned for the summer season. Efficiency decreases when the system is dirty. Service Technicians will also check your condensate line to make sure it is draining properly. A clogged and dirty condensate drain can cause water damage to your home. 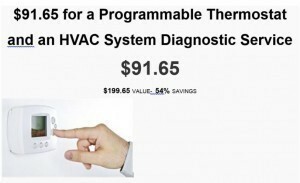 Program your thermostat for the summer season. Avoid making large thermostat adjustments during peak cooling times. If you turn your system completely off it can take many hours to bring the indoor temperature back down to your comfort level. Set your thermostat to 78 or whatever is comfortable while you are home and raise the temperature level while you are away. Make sure all of the supply vents in the home are open for cooling. Turn on your HVAC system and let it run for about an hour. Make sure the vents are blowing cold air. If the vents are blowing warm or hot air you may need refrigerant for your system. You can damage the cooling system components if you operate the system when it is low on refrigerant. Contact Purl’s Sheet Metal & Air Conditioning to schedule a service appointment in Madera or Fresno, CA. It is a good idea to do a visual inspection and to run your HVAC system through a test cycle at the beginning of every season. It is also recommended to have your system serviced routinely to keep it clean and to spot any possible problems before they lead to an unexpected breakdown. Call Purl’s Sheet Metal & Air Conditioning to schedule an appointment with one of our service technicians today. 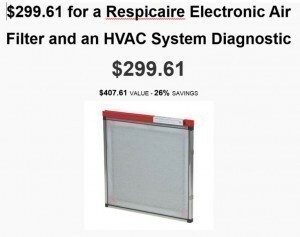 Should I Wait to Repair My Furnace Since I Won’t Be Using It Until Next Winter? Furnaces provide a valuable, often essential, service during the winter months. But as spring changes into summer, furnaces drift away from people’s minds. Homeowners focus their attention on their ACs until winter returns again. It’s easy during this time to neglect taking care of any lingering repair needs a furnace may have. However—and this applies to all heating systems as well as air conditioning systems—you should call for repairs the moment you know you need them. Delay can lead to inferior heating, further malfunctions, and energy waste. 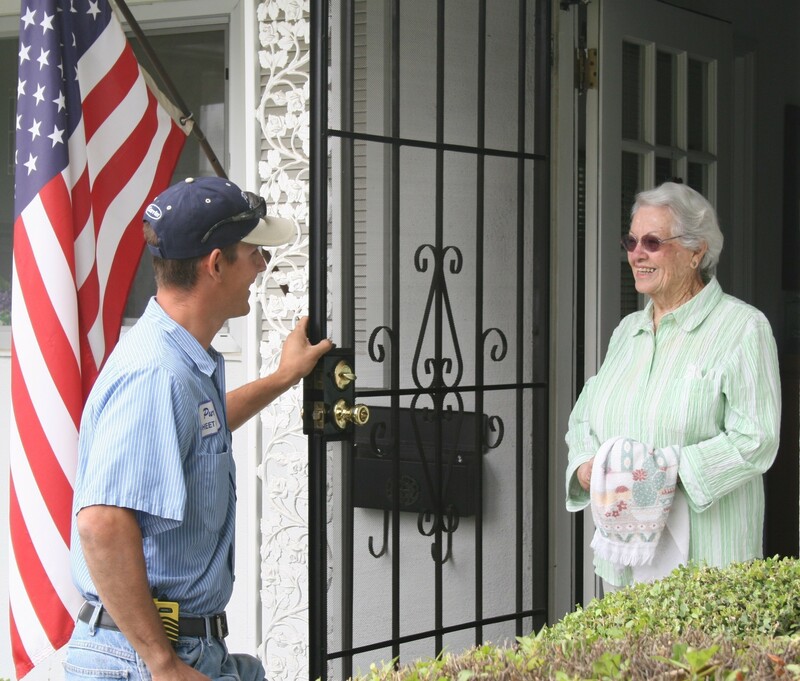 Act on your needs for furnace repair service in Madera, CA now with a call to Purl’s Sheet Metal & Air Conditioning. We are available 7 days a week to help keep your furnace in good condition. California summers are known for their warmth, but there’s no guarantee that we won’t encounter a few chilly and rainy days. Once we reach September, the chances will climb even higher that uncomfortable weather will strike and your furnace will need to come on to keep you comfortable. 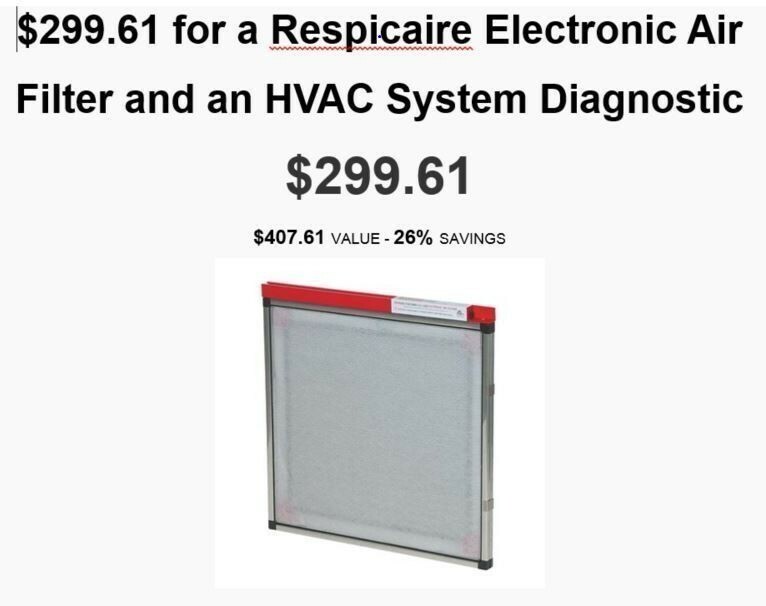 You don’t want the repair you neglected back in spring to impair the furnace’s performance or cause it to break down. The best time to have a furnace repaired is when you don’t need it to heat you. It’s much easier to have repair technicians shut down your furnace for short time during a warm spring day when you have no need for the furnace to be on in the first place. Spring is also one of the less busy times for HVAC technicians, between the emergency calls of winter and summer, so it’s simpler to schedule a convenient time to have the repair work completed. Winter weather arrives, and it’s time to ignite your furnace once more. But… it doesn’t come on, and you end up needing to make an emergency repair call. This is a likely scenario when you allow a repair problem to go unattended: the malfunction won’t magically repair itself, and it will likely grow worse—especially if you needed to turn the furnace on a few times during the summer and fall. Don’t take this risk; have repairs done as soon as you know about them. Whatever issues you noticed with your furnace at the end of winter, you can trust the technicians at Purl’s Sheet Metal & Air Conditioning to fix it. We’ve served the Central Valley since 1952, and any furnace repairs throughout Madera, CA will be in good hands with us. Posted in Heating | Comments Off on Should I Wait to Repair My Furnace Since I Won’t Be Using It Until Next Winter? 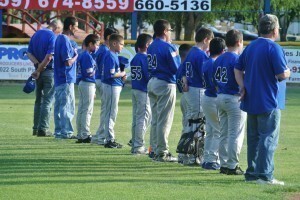 Purl’s Sheet Metal & Air Conditioning is proud to be a sponsor of a baseball team in the Madera National Little League. At the mid-season mark, the team is currently undefeated in their league. 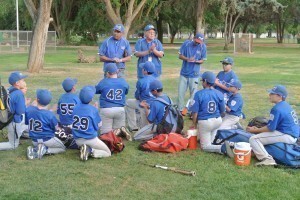 Madera National Little League began operation in the 1954 season. 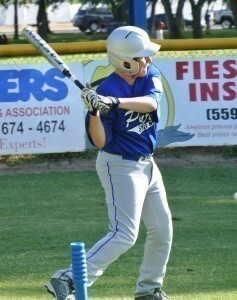 For more than 60 years, thousands of children have been fortunate to learn the basic fundamentals of baseball through Madera Little League. It takes the work of many volunteers and strong community and business support to continue to offer this level of baseball. Games are played at Lions Town & Country Park in Madera. The Real Deal: Upping your home’s air quality can cut back on allergies and sickness for your family. Replace your current filter with an electronic air filter to help clean and purify your indoor air! See Angie’s List offer for complete details. The Real Deal: Your thermostat keeps you comfortable, but inefficient operation can lead to costly energy bills. 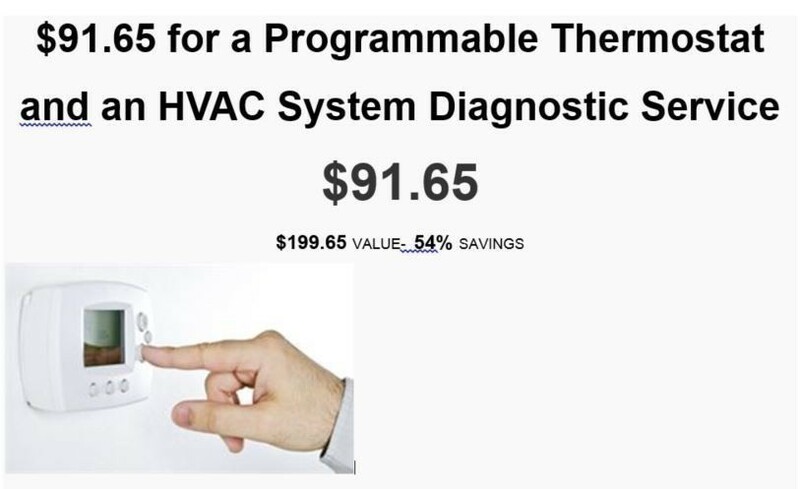 Install a new programmable thermostat for less, and maintain reliable, effective temperature control with this refreshing offer! See Angie’s List for Offer details. The heating season is coming to a close and with it comes a reduced need to keep your heater running every day. As temperatures warm up, homeowners will turn their attention towards air conditioning systems, especially in the Central Valley where summers get incredibly hot. In Madera, the heating system technicians at Purl’s Sheet Metal & Air Conditioning also offer maintenance service: a sort of tune-up for your heater that addresses little issues such as dust build-up and loose bolts. The benefits of maintaining your heater at the end of heating season cannot be overestimated. Here in Madera, heating services are provided by Purl’s Sheet Metal & Air Conditioning, and we can handle a maintenance session with professionalism and pride. Call us today to make an appointment! In the first case, it’s an easy time to remember. Many homeowners engage in spring cleaning every year at about this time, and you can add a maintenance session for your heater to the list to things to do. That helps you get a jump on any dust or debris that have built up over the winter, as well as addressing any little issues that you didn’t have time to deal with when the heater was running every day. Along those lines, spring time gives you maximum flexibility. In the winter, you’re likely running your heater every day or thereabouts, which leaves precious little time to deal with anything but a major problem. In the spring, you don’t need your heater as often, and can set a schedule for a maintenance session that works best for you, instead of scrambling around during an emergency. Perhaps most importantly, a maintenance session now ensures that your heater will be ready to go next season, eliminating potential worry and keeping your furnace in good shape. Dust and dirt, for example, can clog the burners and increase friction on moving parts. That might not be a big problem now, but it definitely could create one if it’s left unaddressed. An ounce of prevention beats a pound of cure as they say, and the benefits of a maintenance session at the end of heating session will pay dividends in the long term. Call Purl’s Sheet Metal & Air Conditioning for professional heating system maintenance in the Madera, CA area. One of life’s sweet moments: That first day during the spring when you turn on your AC and hear its gentle hum. You know for certain then that summer is on the way. One of life’s less sweet moments: That first day of boiling summer weather when you turn on your AC and hear it screech, groan, and stop. You know for certain then that a repair call to a professional is on the way… and you’ll have to sweat it out until then. In these early spring days, pay close attention to your air conditioner to see if it has any malfunctions that need professional attention. Make sure that you AC is ready and able to handle the summer stress. When you know you need professional air conditioning repairs in Fresno, CA, call Purl’s Sheet Metal & Air Conditioning. We’ve kept the Central Valley cool since the Summer of ’52! Leaking refrigerant: The refrigerant that circulates through your AC is crucial for the system to work. During normal operation, the refrigerant does not get “used up” as it moves between the evaporation and condensing stages. However, it can start to leak from the coils of the compressor, and when this happens the air conditioner will quickly lose its ability to cool your home. If you notice frost developing over the indoor coils, call for repairs: this is often a sign of leaking refrigerant. Bad capacitors: Capacitors are cylindrical metal devices that serve as short-term batteries. They store up an electric charge to send to the fan and compressor motors to start them or keeping them running. When a capacitor begins to fail, you may notice a clicking sound from the cabinet as the AC starts up. If the system struggles during start-up (“hard starting”) and occasionally trips a circuit breaker, then a failing capacitor is the likely reason. A technician will replace the old capacitor with a new one. Fixed compressor: The compressor supplies the energy to the refrigerant that sends it through the indoor and outdoor coils; it functions in a similar way to the heart in an animal. Its construction resembles a piston engine, and like a piston engine it can became fixed because of dirt or lack of lubrication. Technicians can sometimes repair this; otherwise they will replace the compressor. When it comes to AC repairs, those who hesitate are left in the heat! Purl’s Sheet Metal & Air Conditioning is on call 7 days a week to help you when your AC starts to wobble. We’ll deliver the air conditioning repairs in Fresno, CA you need to have a great summer. An air conditioning system is no small investment, and before you pull the trigger on one, you want to be sure you’re doing the right thing. If properly maintained, an existing system can last for many years, and while air conditioning installation in Fresno is a common service, many of those companies can perform repairs on existing systems just as easily. Everyone’s circumstances are different, of course, but a few general guidelines can help make the process easier. Here are some general reasons to install a new air conditioner. Efficiency is going down. Over time, the parts in your air conditioner are going to wear out, requiring more energy to function as they should. That means your monthly bills may start skyrocketing, even though you’re not using your air conditioner any more often than normal. Installing a new system usually results in much lower bills, helping you earn back some of the cost of installation automatically. Repairs are going up. The longer your air conditioner goes on, the more frequently it may need to be repairs and the ore expensive those repairs will be. Eventually, you’re going to be throwing good money after bad. New systems usually have a warranty, which will protect you from those pesky repair bills for at least a few years. Your existing air conditioner has been around a while. New air conditioners are almost more efficient by default, and while an old one can hold up a long time if you keep it well maintained, time will eventually catch up to it. If it evinces other problems and it’s more than ten years old, that may be the catalyst to finally get it replaced. You may have some good reasons to install a new air conditioner, but you’ll still need a proper service for air conditioning installation in Fresno. The experts at Purl’s Sheet Metal & Air Conditioning have the skills and experience to handle a new installation, and can advise you on whether you truly need a new system, or whether a repair session will better suit your needs. Give us a call to make an appointment. You’ll be glad you did!